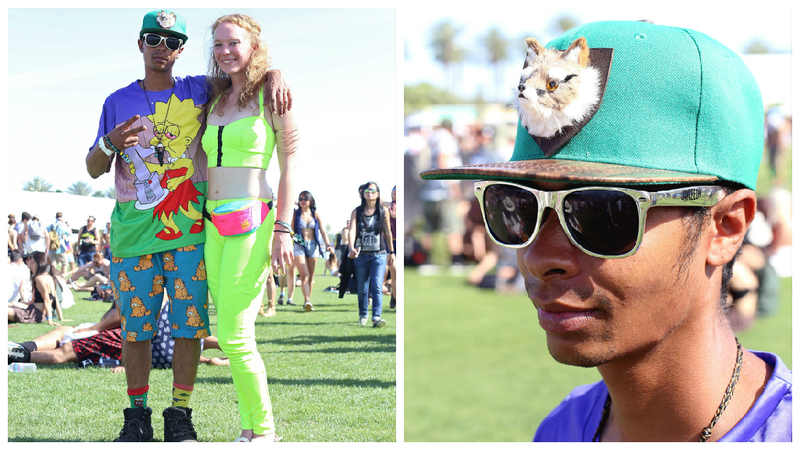 In case you missed it, the first weekend of Coachella just wrapped up. Madonna kind of assault-smooched Drake and AC/DC blew the sweat beads off the crowd in the California desert. Our colleagues at Time Out Los Angeles were there to cover it all. 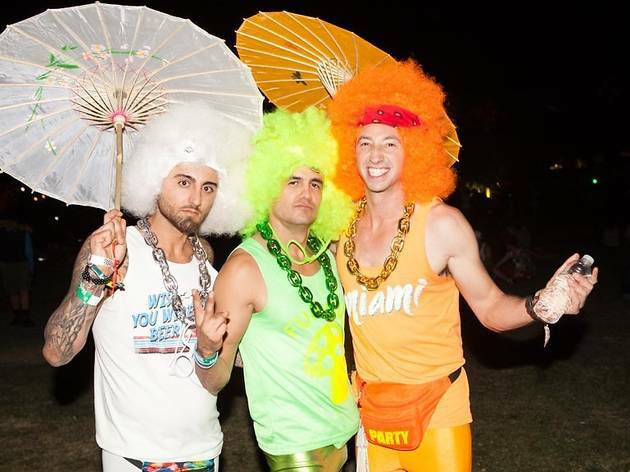 Though Coachella is thousands of miles away, we bring you these colorful characters to give you ideas for what to wear to Lollapalooza, Pitchfork, Spring Awakening and North Coast, but mostly because these heat-addled festival-goers are just a joy to behold. 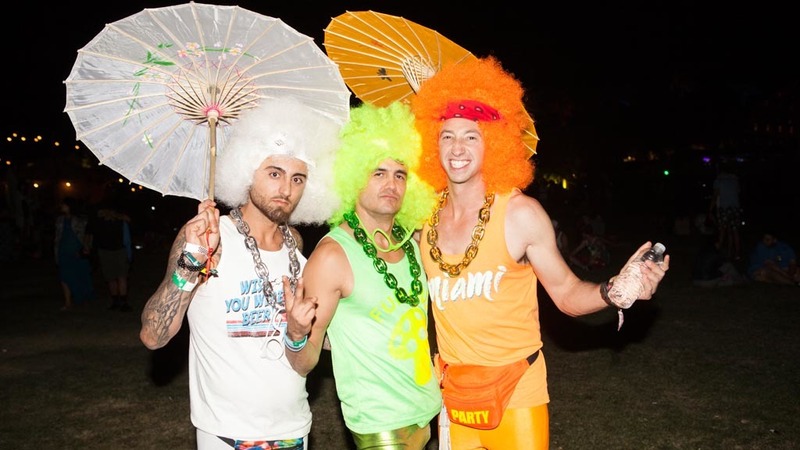 LMFAO meets Marie Antoinette with these dudes at day two of Coachella 2015. 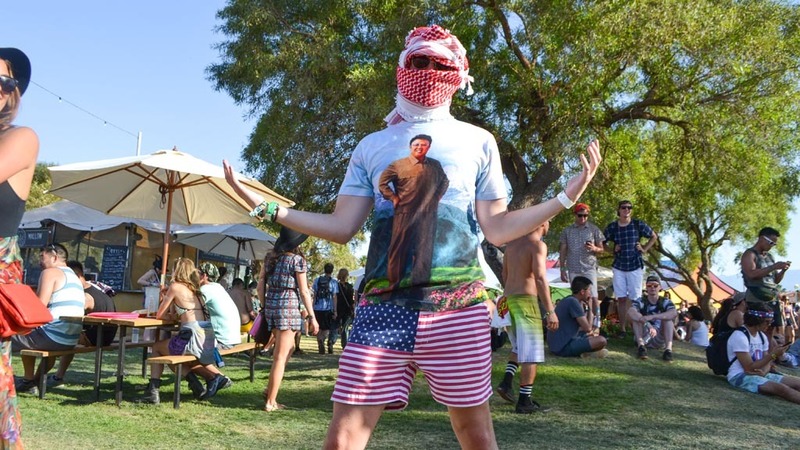 Axis of Evil meets All American bro in this outfit from day three of Coachella 2015. 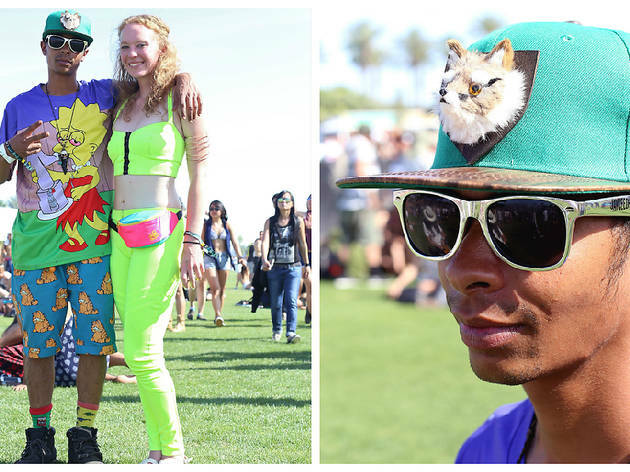 Taxidermy hats pair well with bootleg Simpsons tees at Coachella 2015. 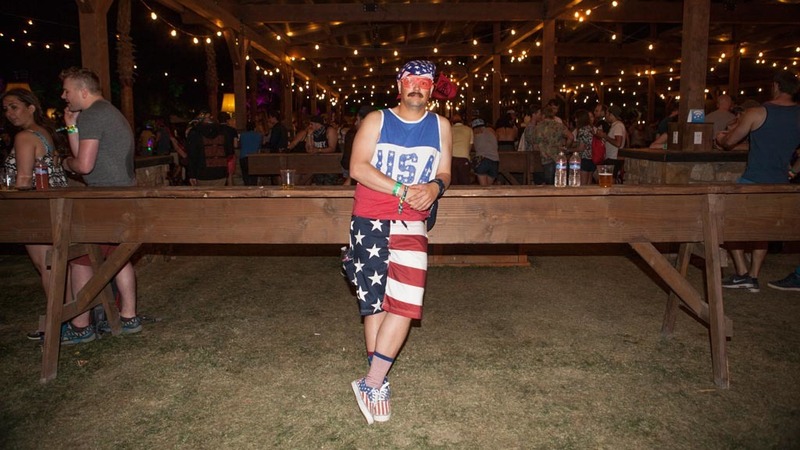 This man loves America Coachella day two. Tassle and fringe are in a Coachella 2015. We mean the jacket, not her hair. Just can just wear a swimsuit to Coachella. Bikini ball pits are all the rage at Coachella. 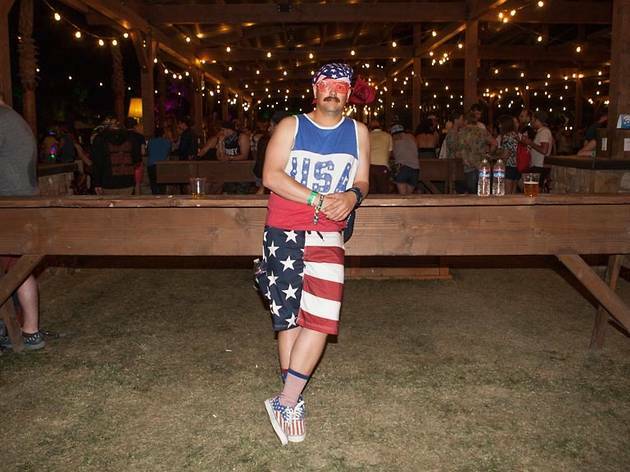 Speedo bro also shows off his patriotism on Friday at Coachella. 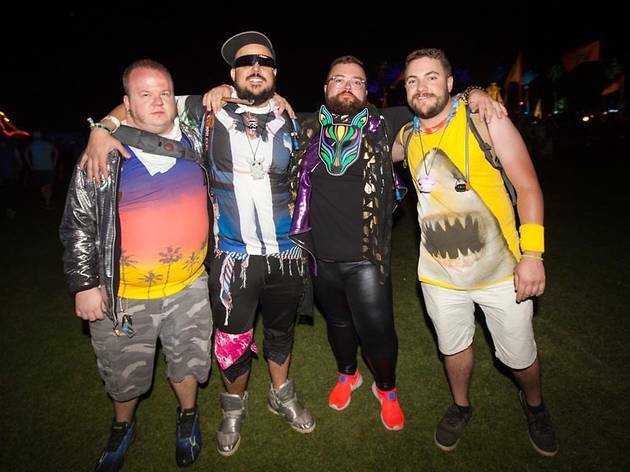 Cosplay pajamas are a festival must. 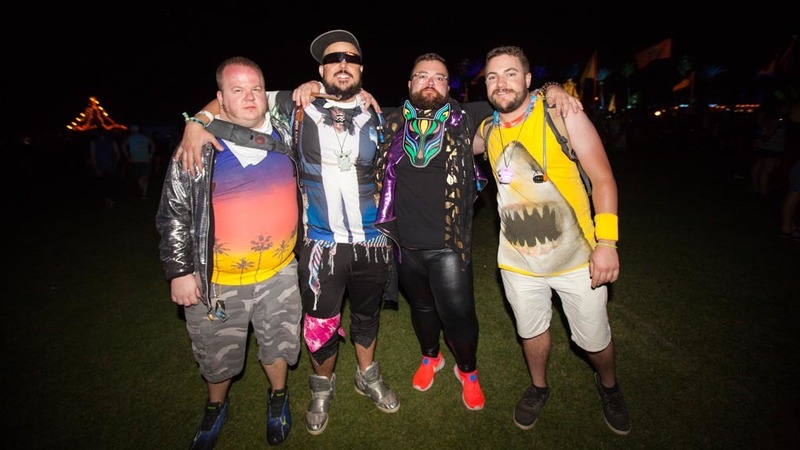 The cast of Grown Ups 3 hangs together at Coachella on Friday. 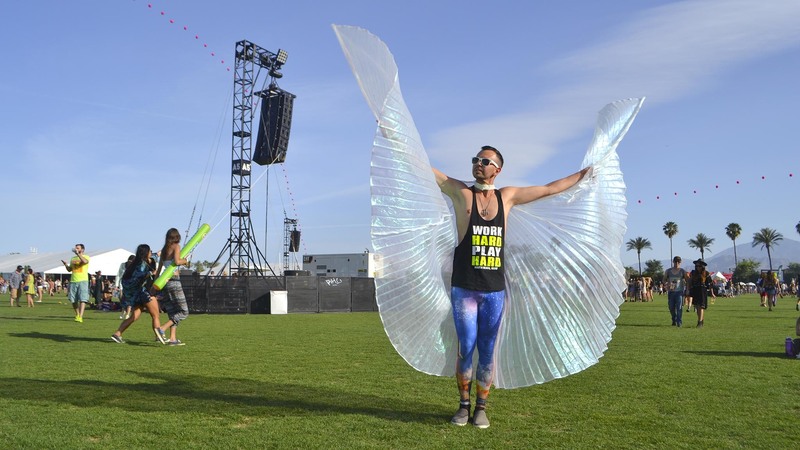 Aww, man, they have see-saws at Coachella? 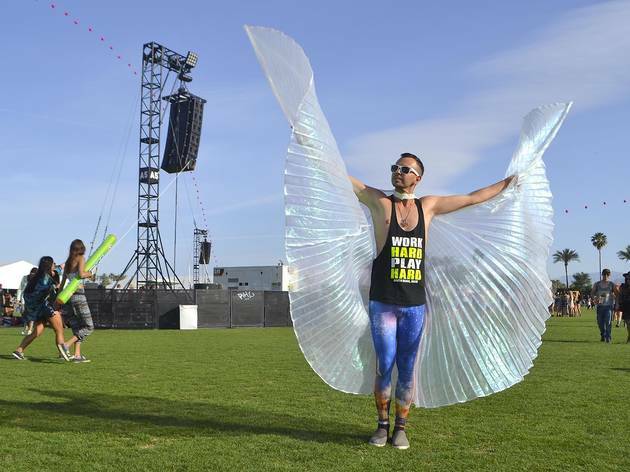 This man is a pretty butterfly on day two of Coachella. 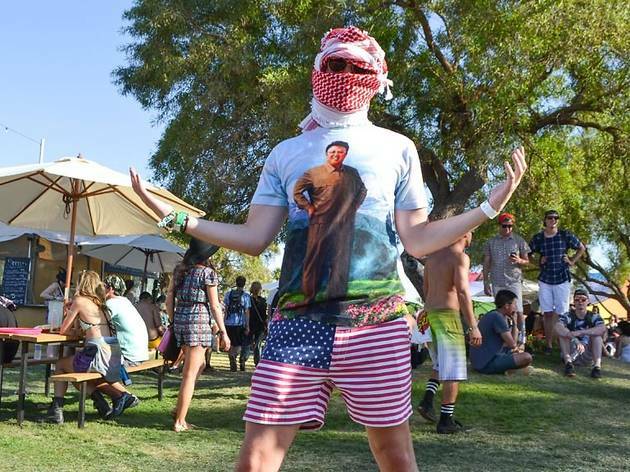 Somebody really wants a role in the Spider-Man reboot at Coachella.